When was the last time you woke up to fewer than 20 emails in your inbox? Most of us can’t remember a morning routine that doesn’t include sifting through a pile of email from brands that we agreed to receive communications from at one point or another. And how often do you actually read those emails as opposed to swiping, tapping and deleting all in one swift motion? But sadly, the average business loses 20% of its customers annually by not attending to customer relationships in an effective way. Email is certainly an easy, inexpensive option to stay in touch with your customers and provide them updates and offers. But falling into the trap of sending generic email communications to customers as a primary retention marketing tactic without the support of a thoughtful holistic strategy is a recipe for lost customers – and future profit. At IWCO Direct we work with clients to determine the right mix of direct marketing tactics within their CRM contact plan. It’s not a matter of choosing one tactic over another. As we’ve discussed, we typically see significant lift when tactics like direct mail and email are strategically aligned. The key is to ensure that communications are relevant and timely for the individual based on their demographics, location, past behavior, lifecycle stage and future value. With access to industry-leading content management tools, we’re able to create ongoing and trigger-based campaigns that are highly personalized based on the individual recipient. This leads to higher campaign performance, and ultimately a more engaged customer base. 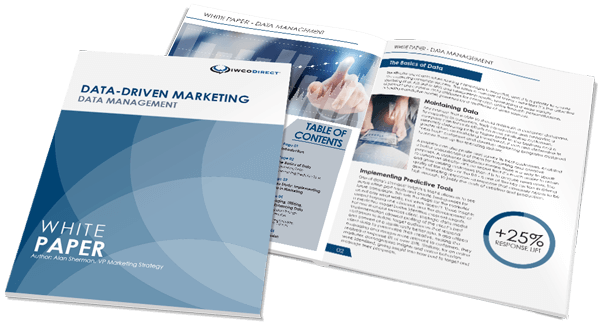 Alan Sherman wrote an excellent article on how we help our clients develop and maintain marketing database systems, and how that leads to smarter CRM strategies. If you would like to know more about our approach or discuss your retention marketing program in more detail, please let me know.